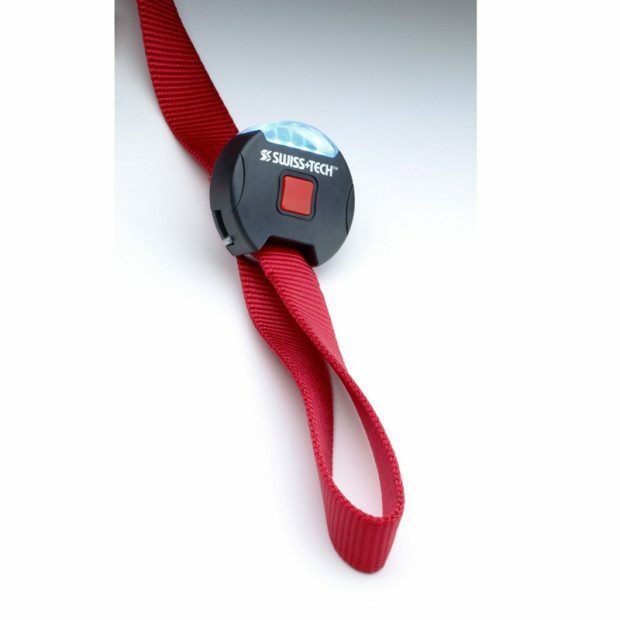 Swiss+Tech LED Leash Light Just $5.99 Ships FREE! You are here: Home / Great Deals / Swiss+Tech LED Leash Light Just $5.99 Ships FREE! So much easier than carrying a flashlight! Order this set of Swiss+Tech LED Leash Light for Just $5.99! Plus it Ships FREE! It’s Fall which means the days are getting shorter and more than likey you are going to end up doing your nightley walks with your pup in the dark. See and be seen with these LED Leash lights from Swiss Tech! 5 super bright LEDs illuminate your way and make sure you are visible!